Living with dogs and cats - all rescues and how they are all becoming superstars in their own rights. Read how we are training them and see their beautiful photos. Share the joys of pet ownership with us. On February 2, 2014 our dog Banjo appeared on Animal Planet's Puppy Bowl X. How? Well, we were contacted by an agent who knew of Banjo and asked if we'd be interested in pitching him for the PuppyBowl. Banjo is not a puppy, he's two years old, but the PuppyBowl includes animals other than puppies. So of course, we responded with an enthusiastic "sure!". 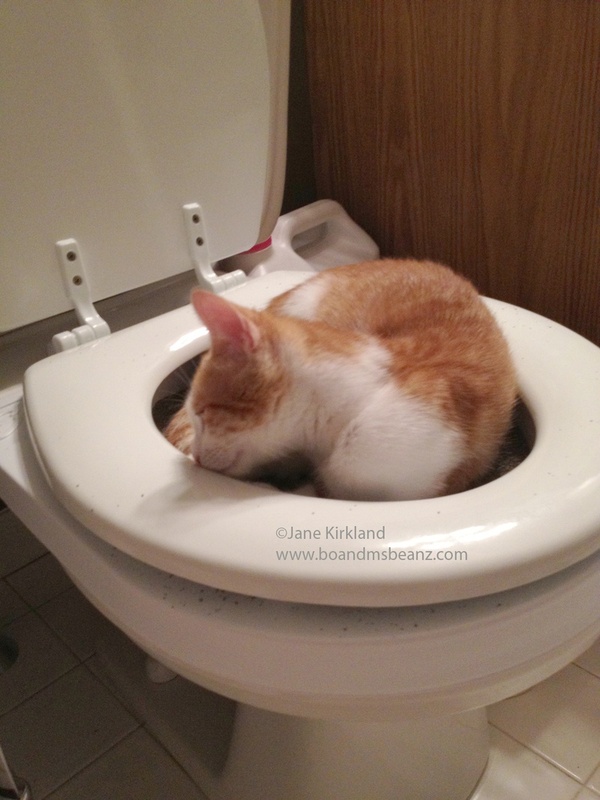 Here we are near the third week of toilet training. Things have gotten much better over these two weeks. Every week we cut the hole in the center of the city Kitty pan so the hole is larger. Every week the pan holds less and less litter. Every week we have less mess. Well, I’ve reached the end of week one of toilet training for Ms. Beanz (almost 4 years old) and Lady Bug (age 4 months). It has been very interesting. Here are the steps I took. I rated and listed the pros and cons of each step. If you follow Bo and Beanz on Facebook, you know by now that we adopted a new dog in April. He isn't a Nova Scotia Duck Tolling Retriever, he's a mutt rescued from a kill shelter in SC. Based on his appearance and behavior, we think he might be Brittany mixed with Border Collie. We named him Banjo. He was about 6 months when we brought him home. Rescue? Adopt? Buy? What do we do? We have been trying to adopt another Nova Scotia Duck Toller like Bo. It does not have to be a purebred—but we're trying to find a female under 3 years old to be Bo's companion. This is not an easy task.